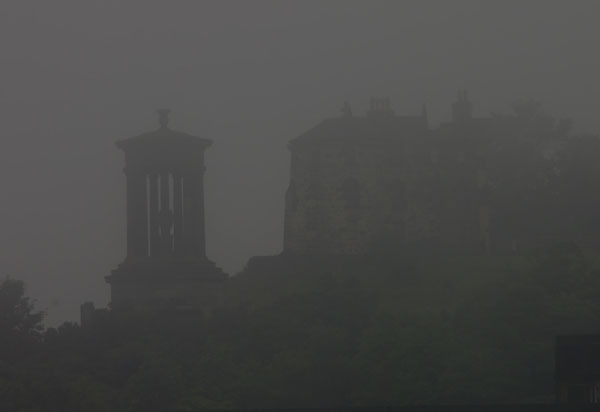 Dreary (or dreich, as they say in Scotland) day in Edinburgh, somewhat enlivened by 400 Pipers marching down the Royal Mile to celebrate QE2 being in town all week. 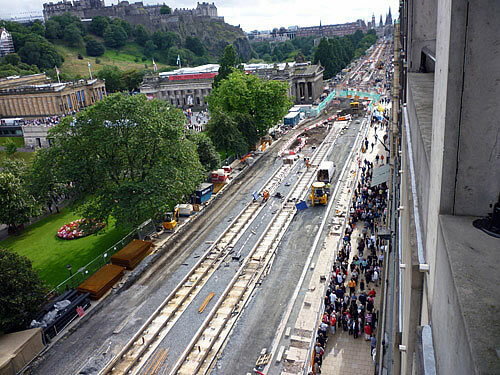 The Edinburgh tram project was to build a tram line from the Airport to Leith – running through the city centre on the way. This would have been a valuable addition to the infrastructure of the city and possibly the starting point for a larger network in due course. The project was costed at £545 million. To date, £440 million of this has been spent, but only 28% of the infrastructure is completed. As far as I can see there seem to be 4 steel lines running the length of Princes St and the shell of a tram depot on the way to the airport. 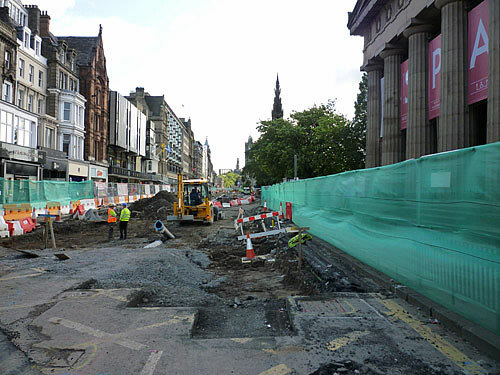 The people of Edinburgh put up with about 4 years of disruption and chaos in their city centre, but there are now doubts that the project will ever be competed; even in a reduced form (Airport to St Andrew Square), a vote on the project will take place on 30th June. £440 million for what seems destined to become a mile or so of ‘cycle tyre catchers’ seems rather a lot doesn’t it? 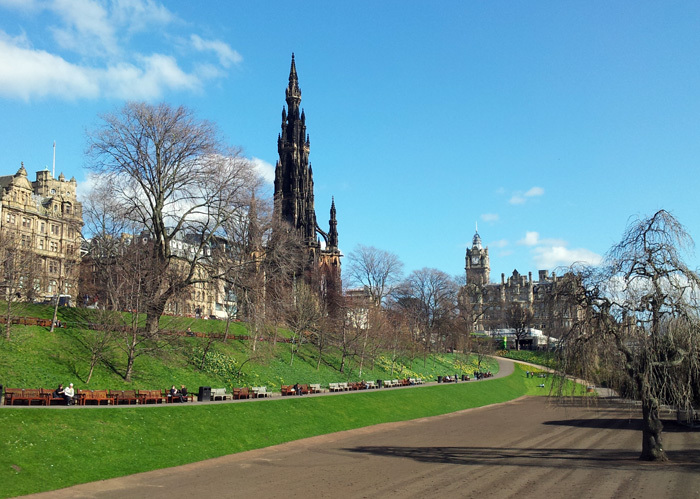 More on Edinburgh on the Edinburgh page.